Reebok Accommodation can be searched using the Garden Route and Klein Karoo App and website. Reebok part of the Mossel Bay Municipality. Reebok is a little seaside village just outside Mossel Bay. 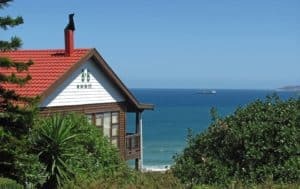 It lies between Klein Brakrivier and Groot Brakrivier, one of a handful of beachside holiday hamlets east of Mossel Bay. Accommodation in Mossel Bay is quite a wide term as the Mossel Bay area is spread out along the beautiful bay. Whale-Phin Guest House is located in a area called Reebok, about 12 minutes drive from the Mossel Bay CBD. Mossel Bay, is located in the well reknown Garden Route area in the southern part of South Africa.